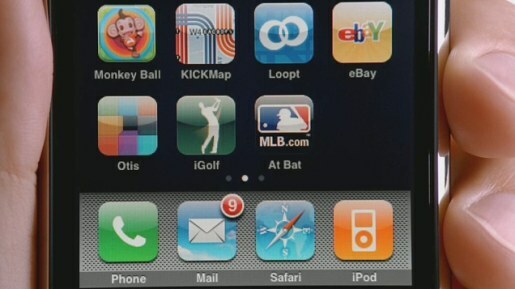 Apple has a new commercial for the Apple iPhone 3G, Game Changer, showing off the MLB application from Apple’s App store. The ad shows a user checking on a Major League Baseball game between the Pittsburgh Pirates and the Milwaukee Brewers, and a video highlight, Ryan Braun’s walk-off grand slam for the Brewers. The Game Changer ad was developed at TBWA\Media Arts Lab, Los Angeles, by chief creative officer Lee Clow, executive creative directors Duncan Milner, Eric Grunbaum, associate creative directors/art directors Alain Briere, Drew Stalker, Parker Grant, copywriter Alicia Dotter, agency producer Bryan Barker. Filming was shot by Mark Coppos and Virginia Lee via Green Dot Films with director of photography Rebecca Baehler. Editorial was Jared Coller at Nomad Editing Company. Post production was done at Company 3 by Stefan Sonnenfeld and Brian Robinson.